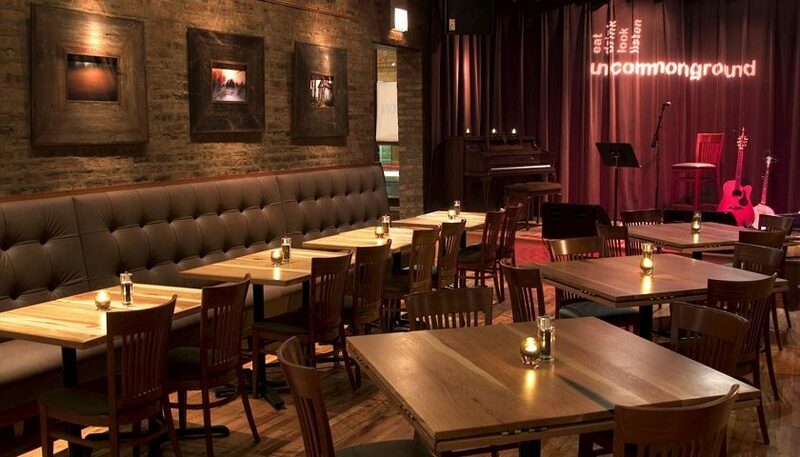 uncommon ground operates 2 independently owned restaurants located in Chicago. The first, located in the Lakeview/Wrigleyville neighborhood, opened in 1991. The second uncommon ground location opened in the historic Edgewater neighborhood in 2007. Both uncommon ground locations are open for brunch, lunch and dinner daily and feature contemporary comfort cuisine with an emphasis on seasonal, regional, organic ingredients. The bars feature famous house-infused organic cocktails, a selection of local craft beers and an eclectic, sustainable American wine list. Enjoy tree-lined outdoor cafes in the summer & 2 warm, cozy fireplace in the winter. uncommon ground operates the “1st Certified Organic Roof Top Farm in the US” as well as our own brewery, GREENSTAR BREWING, “The 1st Certified Organic Brewery in Illinois” – M.O.S.A. uncommon ground was established in 1991 by Helen & Michael Cameron. Since that time, they have been driving the “farm to table” movement. Always searching for great local family farmers, distillers, brewers & winemakers that share their vision for local, organic, sustainable ideals to educate the community on the importance of the good food movement. Helen & Michael are avid supporters of the Green City Market, Slow Food, and in 2010 were delegates at the international Terra Madre in Turino, Italy representing Chicago as food activists for the good food movement. In 2014, they were awarded the first “Snail of Approval” by Slow Food Chicago. Always evolving, in 2008, Helen & Michael opened the “First Certified Organic Roof Top Farm in the US” – M.O.S.A. In 2014 they continued pushing the envelope by opening the “First Certified Organic Brewery in Illinois” – M.O.S.A.